What is the Discipline Income Protection Program? It is a plan providing payment for a specific amount and period of time to an employee suspended, dismissed or removed from service by the carrier for alleged violation of rules or operating procedures, provided that such violations do not come within the list of exceptions not covered by the program. You choose the level of benefits you want, from $6 to $200 per day, all at low monthly assessments. The term of benefits, from 200 to 365 days, depends on how long you have been enrolled in the program. SMART Transportation Division members in the U.S. may enroll as members on a voluntary basis. The Rail Workers Hazardous Materials Training Program has scheduled new training programs for HAZMAT/Chemical Emergency Response for 2016. Three classes for RW Chemical Emergence Response are being offered in early 2016 in Houston. The RW Chemical Emergence Response class will be held Feb. 7-12, March 6-11 and April 24-29, 2016. This training addresses OSHA and DOT required training in addition to procedures, different levels of response and worker protection in a hazardous materials emergency or release, weapons of mass destruction awareness and the incident command system. The training also provides completion of the OSHA 10-Hour General Industry Outreach requirements. The programs are delivered using interactive classroom instruction, small group activities, hands-on drills and a simulated HAZMAT response in full safety gear. The Rail Workers Hazardous Materials Training Program is funded to provide this training by a federal grant from the National Institute of Environmental Health Sciences (NIEHS). This five-day HAZMAT training course will provide rail workers the essential knowledge, skills, and response actions in the case of an unintentional release. These tools will allow rail workers to protect themselves, their co-workers and their communities. The funding provides the following student expenses: air travel, lodging and meals. In addition, an incentive of $120.00 per day is available to all training participants of these programs, except those who are able to secure regular pay through their employer, or are paid union officers. Training will be conducted at the Houston Fire Department’s Val Jahnke Training Facility, 8030 Braniff Street Houston, TX 77061. Programs begin Sunday evenings at 5:30 p.m. and conclude Fridays at 1:00 p.m. Students may be asked to travel on Saturdays to meet program start times or where substantial reductions in airfare warrant. When registering, please select dates in order of preference. The Rail Workers Hazardous Materials Training Program is also offering instructor training to be held April 3-9 and May 15-21, 2016. This course is designed to certify the student as a trainer for the DOT-HMIT (Hazardous Materials Instructor Training) Program. The topics covered include DOT training requirements, placarding and labeling of Hazardous Materials, as well as other topics related to the safe transportation of hazardous material. Upon completion of this course, the student receives a card certifying them to teach the Practical Training Course. 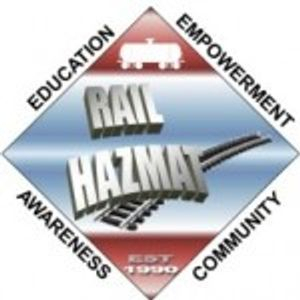 The Rail Workers Hazardous Materials Training Program prides itself on providing the most valuable worker safety training available and peer trainers provide most of the training. A major goal of the Rail Program is to build a nationwide pool of skilled peer trainers to deliver hazardous materials training at their jobsites, union meetings and in their communities. The DOT-funded HMIT consists of an eight-hour hazardous materials awareness course followed by five days of train-the-trainer instruction, providing participants the skills and knowledge necessary to deliver hazardous materials training at the local and regional levels. The funding provides the following student expenses: Air travel, lodging and meals. In addition, an incentive of $175.00 per day is available to all training participants of these programs, except those who are able to secure regular pay through their employer, or are paid union officers. Training will be conducted at: Holiday Inn Houston-Hobby Airport, 8611 Airport Blvd, Houston, TX, 77061. Programs begin Monday mornings and conclude Saturdays at 1:00 p.m.
Students will be required to travel/arrive on Sundays to meet program start times. When registering, please select dates in order of preference when available. A training class is being offered June 5-8, 2016 in Chicago. Stay tuned for further details as they become available. Interested persons may register now for this program. Click here to register for any of the classes listed above. For phone inquiries please call (202) 624-6963, Monday through Friday, between the hours of 9:00 a.m. and 5:00 p.m. EST. According to a new report from Pew Research, a nonpartisan nonprofit think tank based in Washington, DC, the American middle class has not only shrunk, but it has also lost 30 percent of the wealth it held a generation ago. The report finds that in early 2015, 120.8 million adults could claim to be in the American middle class versus 70.3 million in lower-income and 51 million in upper-income households. While the number of Americans belonging to the middle class increased due to the natural progression that results from population growth, a bigger share of the population belonged to the middle class while holding a greater share of the total wealth. The study finds that the share of income held by middle-income families has plummeted to 43 percent in 2015 versus 6 percent of the wealth in 1971. The share of wealth held by lower income households remained stable during this time while the share of income held by upper income Americans has exploded to 49 percent of all total wealth in 2015 as opposed to the 29 percent share held in 1971. The demographic and income data comes from the US Census Bureau’s “Current Population Survey” which serves as the basis of research on income and poverty issues. Rail News - U.S. Class I workforce continues to shrink. As of mid-October, the largest U.S. railroads employed 165,606 people, down slightly from September's level. But on a year-over-year basis, the workforce shrank 2.14 percent compared with October 2014's level, according to data from the Surface Transportation Board. On a month-over-month basis, the size of the total Class I workforce fell in four of the six employment categories: executives, officials and staff assistants, down 0.72 percent; maintenance of way (MOW) and structures, down 0.40 percent; maintenance of equipment and stores, down 0.40 percent; and transportation (train and engine), down 1.64 percent. Two categories barely logged increases between mid-September and mid-October: professional and administrative, rose 0.05 percent, and transportation (other than T&E), inched up 0.37 percent. On a year-over-year basis, workforce categories that posted decreases were transportation (T&E), down 6.31 percent; transportation (other than T&E), down 0.27 percent; and executives, officials and staff assistants, down 3.02 percent. Worker categories that reflected increases year-over-year were professional and administrative, up 0.84 percent; MOW and structures, up 1.73 percent; and maintenance of equipment and stores, up 1.31 percent. WASHINGTON - The Occupational Safety and Health Administration today issued a final rule establishing procedures and time frames for handling employee retaliation complaints under the National Transit Systems Security Act and the Federal Railroad Safety Act. The final rule is effective Nov. 9, 2015. NTSSA establishes protections against retaliation for public transportation agency employees who engage in whistleblowing activities related to public transportation safety or security. FRSA provides protections against retaliation for railroad carrier employees who report a work-related injury or engage in other whistleblowing activities related to railroad safety or security. These protections extend to employees of contractors and subcontractors who do work for public transportation agencies and railroad carriers. Both provisions were enacted by the 9/11 Commission Act of 2007. FRSA was amended in 2008 to prohibit railroad carriers from denying, delaying or interfering with employees' medical or first aid treatment. The FRSA amendments also require that injured employees be promptly transported to the nearest hospital upon request. "Railroad workers have the right to report injuries and to follow their doctor's treatment plans for injuries sustained in the course of their employment without fearing that they will be retaliated against," said Assistant Secretary of Labor for Occupational Safety and Health Dr. David Michaels. "Railroad and public transit agency workers must never be silenced by the threat of losing their job when their safety or the safety of the public is at stake." In 2010, OSHA published an interim final rule and requested public comments. The final rule responds to the comments, incorporates recent case law under the statutes and updates the rules to improve both employees' and employers' access to information about the case during OSHA's investigation and their ability to participate in OSHA's investigation. OSHA's Whistleblower Protection for Public Transportation Agency Workers* and Whistleblower Protection for Railroad Workers* fact sheets explain who is covered under the acts, protected activity, types of retaliation and the process for filing a complaint. OSHA enforces the whistleblower provisions of 22 statutes protecting employees who report violations of various securities, commercial motor vehicle, airline, nuclear power, pipeline, environmental, rail, maritime, health care, workplace safety and health, and consumer product safety laws and regulations. For more information, please visit www.whistleblowers.gov. U.S. Department of Labor news materials are accessible at http://www.dol.gov. The department's Reasonable Accommodation Resource Center converts departmental information and documents into alternative formats, which include Braille and large print. For alternative format requests, please contact the department at (202) 693-7828 (voice) or (800) 877-8339 FREE (federal relay). Created in the late 1960s by the Brotherhood of Railroad Trainmen and the United Transportation Union under the leadership of Charles Luna, "Railroad Man" is a portrait of the ordinary men who perform the extraordinary job of keeping the nation's freight and passenger trains moving. Directed by Jeri Sopanen the film's story is told by the men themselves, who speak from their own hard experience working and riding on steel rails. The film is a time capsule of American railroads in the late 1960s and 70s, with passenger service in steep decline and many railroad facilities being abandoned and downsized, and the major railroads deciding to get out of passenger service altogether. Charles Luna (1906 – 1 October 1992) was president of the Brotherhood of Railroad Trainmen (BRT) from 1963 until 1969. He became the first president of the United Transportation Union, when that organization was formed by merging the BRT and three other railroad unions in 1969. Luna became president of the Brotherhood of Railroad Trainmen in 1963. On 1 January 1969 the BRT merged with three other unions to form the United Transportation Union. Luna became president of the combined union, with 230,000 members.In 1969 Luna was elected chairman of the Congress of Railway Unions. In 1971 the UTU Insurance Association assumed the insurance and welfare plans of the brotherhoods who had formed the UTU. The UTU held its first national convention in August 1971 in Miami Beach. Al Chesser, National Legislative Director of the UTU, was elected to succeed Luna, who was retiring. In 1970 Luna was chosen by President Richard Nixon to help form the National Railroad Passenger Corporation. This set up the Amtrak inter-city passenger service. Luna served as an Amtrak director for twenty years. Amtrak’s highest safety honor is the Charles Luna Memorial Safety award, which has been presented annually since 1990. Jeri Sopanen (14 August 1929 - 21 September 2008) was a Finnish-born American filmmaker who created movies, television series and commercials. He was five times nominated for an Emmy Award Prize and received the award once, a children's program called "The Rotten Truth". Sopanen graduated from high school in Helsinki, studied composition at the Sibelius Academy in 1951 and received a Fulbright scholarship to the University of Lawrence United States. There he was inspired by the film and the film began studies at UCLA in Los Angeles. Sopanen worked on "The Undersea World of Jacques Cousteau" and made "Gardens of the World" with Audrey Hepburn.. He also served as cameraman for the Louis Malle film "My Dinner with Andre." After you fill out the form on your computer, save it and then attach it to an email to your Local Legislative Representative or the State Legislative Board. SMART Transportation Division is making it easier for its members to make their voices heard in the nation’s capitol. Members can also see how their representatives voted on legislation, learn about upcoming elections in their state and even write a letter to the editor of their local newspaper. PLEASE go there now and send a letter to your Congressperson and Senators asking them to support the Safe Freight Act (2 Person Crew Bill)!